Hello Dear Reader! We are 2 months into 2014 and the New Year is off to a busy start. This year already I've spoken to 3 User Groups and had 1 Workshop on Performance Tuning. This is only the beginning. Between now and May I've got 12 more presentations. While I'm out and about I hope that I will get to see and meet up with a lot of SQL Family. SQL Saturday #273 is just around the corner. I am one of a whole host of other great SQL Server Experts that will be on hand for the free training and free learning. Stop by! Do you have the PASS Summit Blues? We are 11 months away from the next great gathering of SQL Minds. During this time of the year you watch your DVD's/Downloads/Streaming content from last. You look at the presentations at the SQL Saturday's and start to wonder what will be planned for next year. You miss your friends, you miss the atmosphere, you miss the Summit. Well Pragmatic Works has the cure for the PASS Summit Blues. All this month we have been doing our presentations from last year for Free, as part of our Training on the T's. Next week you will get a chance to see my presentation from the Summit, Plus a little extra content as I take up not ONE, but TWO time slots. Last year one of my favorite all time memories was SQL Saturday Boston. I'd never been to Boston when I submitted and I'd always wanted to go. 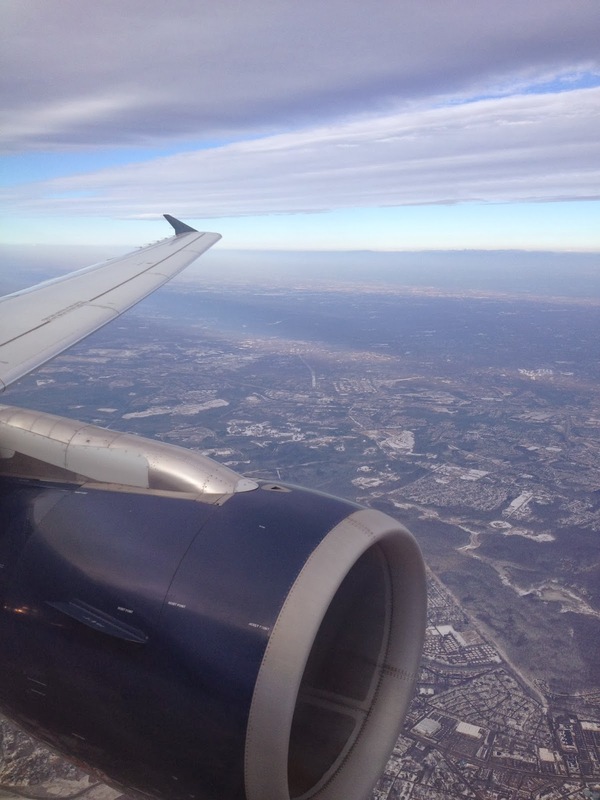 Little did I realize that I would end up back in Boston 5 more times before the end of 2013. I can't wait to go back and join the amazing speaker line up that Mike Hilwig(@MikeHilwig|Blog) has put together! I'm in Portland Oregon for the first time ever. As if that wasn't enough reason to show up, I'm presenting with none other than my colleague Roger Wolter(@RWolter50 | Blog). Roger is a former PM for SQL Server for Microsoft. He has forgotten more about computer science that I've ever known. He's a nice guy and he's flat out brilliant. He has worked on some of the largest and most complicated Service Broker installations in the world, he has vast in the field experience with SQL Server. Roger and I are teaching the Performance Tuning Workshop not once, but twice this year. I hope to see you there, because this Dear Reader is going to be a lot of fun. My good friends Jose Rivera(@SQLConqueror|Blog) and Guillero Caicedo(@SQLTitan|Blog) invited SQL MVP Jorge Segarra and myself to present a full day Pre-Con for SQL Saturday Puerto Rico. I've gotten to know Jose and Guillero quite well from different SQL Saturday's and the PASS Summit. This is a great honor as it will mark my 1st ever Pre-Con for a SQL Saturday! Jorge and I will be pulling out all the stops to give you a full day of information and Performance Tuning knowledge that you can use. I hope to see you there! Roger Wolter and I tackle SQL Server one more time in the Mile High City. Denver is a beautiful town and I cannot wait to come out and visit will all the #SQLFamily out there. We will also be presenting at the SQL Server User Group on the 29th. Jorge and I will be taking our two man show over to SQL Saturday #298 Jacksonville. When Devin Knight(@Knight_Devin | Blog) called me up and asked I was stoked! This will be the 4th time that Jorge and I have presented together this year and I can't wait! Come out and join us for some learning and fun! As you can see Dear Reader this year will be busy. There are more plans right now that we are working on that go all the way out to the end of the year. More on that in the next couple of months! Hello Dear Reader! I know it has been a while since last we spoke. Sorry for the long absence. I've been working on a lot of things that you will see coming here in the weeks and months ahead. 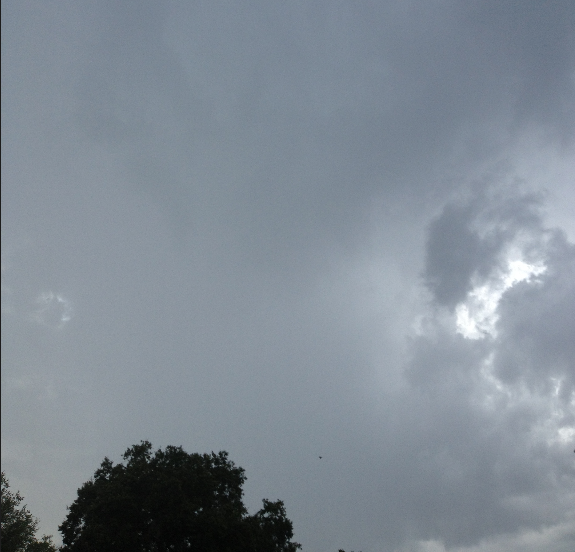 But first I wanted to write a blog on a subject that I've hit multiple times. 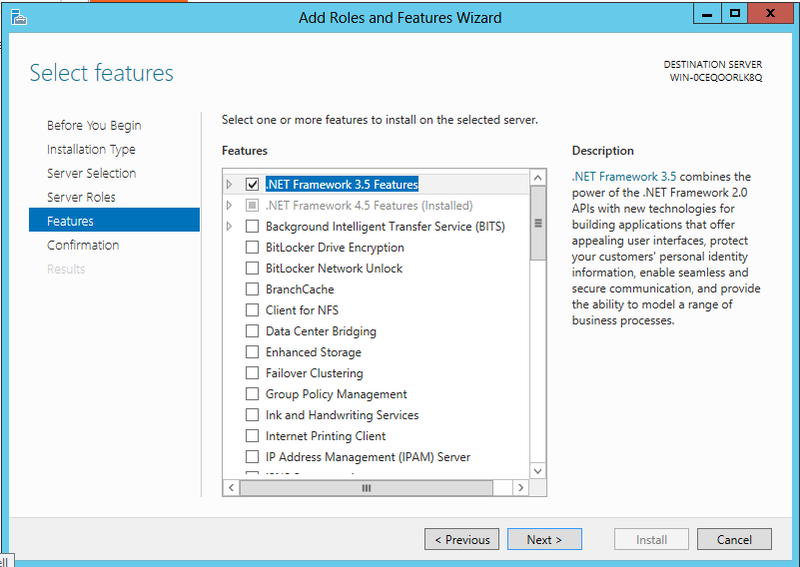 Windows Server 2012 ships with .NET 4.0 already installed. However SQL Server 2008-2012 requires .NET 3.5. Therefore, when you install SQL Server on Windows Server 2012 you must first install the .NET Framework 3.5. "So Balls", you say, "What's the problem, just enable it?" Ahh Dear Reader, Thank you for getting to the heart of the matter. 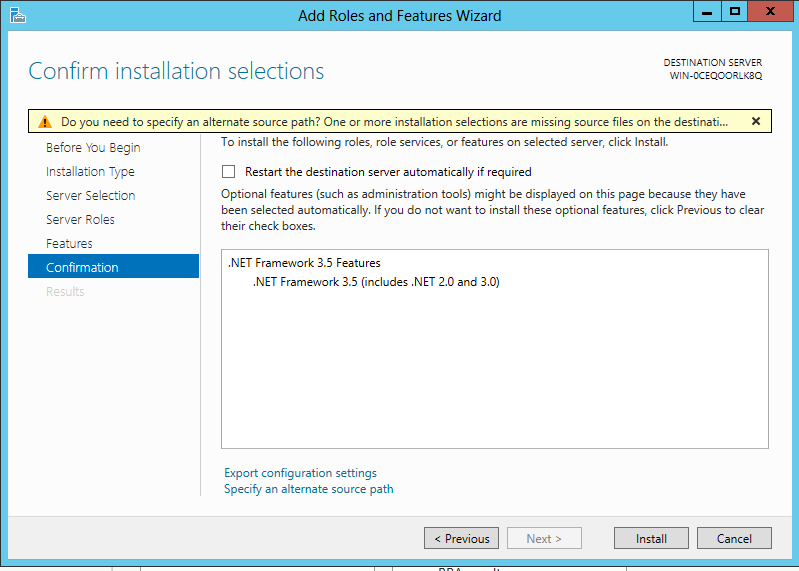 The normal way that you do this is you add the Feature .NET 3.5 Framework to you're server. I've done this enough times that sometimes it works just fine. Other times, it blows up. If the GUI works for you then, keep using it. This blog is about what you need to do when it goes wrong. Everything is bright and sunny in this version. We will have no errors using the GUI whatsoever. We start off with going to the Server Manager Dashboard. Click the Manage button. Then Click Add Roles and Features. Next we go to Server Selection. If you are installing this feature on a remote server you would select it here. If you install this locally then just click the Server Selection menu item and then click directly to the Features Menu option. The .NET 3.5 Framework is a feature not a role. After that you check the box next to .NET 3.5 and click Next. Click Install and away you go. Actually it could be the middle of the day. Whenever it is you attempted to install .NET 3.5 and something went wrong. Regardless of the time you get the following error. "Installation of one or more roles, role services, or features failed. The source files could not be found. 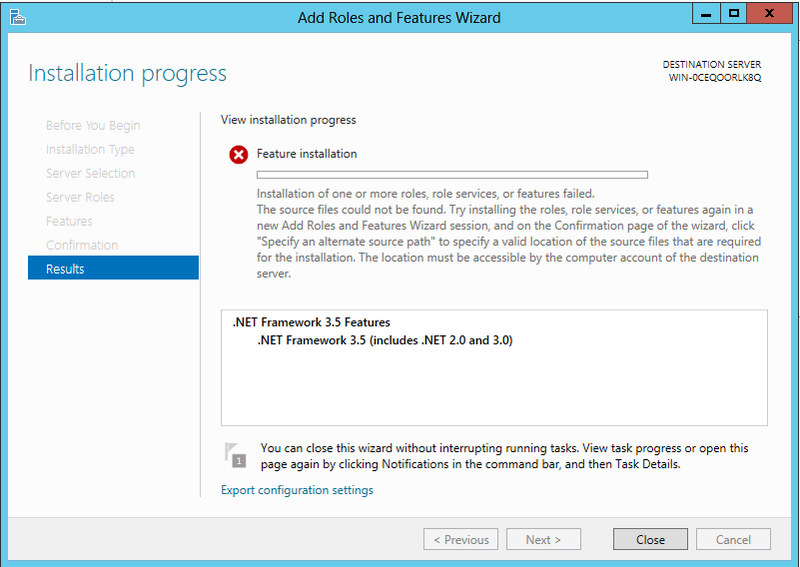 Try installing the roles, role services, or features again in a new Add Roles and Features Wizard session, and on the confirmation page of the wizard click "Specify an Alternative source path" to specify a valid location of the source files that are required for the installation. The location must be accessible by the computer account of the destination server." Installed and ready to go install SQL Server. "So Balls", you say, "Could you have just browsed to the same path using the Wizard?" Great question Dear Reader! There is not a browse feature for the alternate path portion of the Wizard, but you could have manually entered D:\Sources\SxS and received the same result. While the error screen had it all in the writing, when I first received this error I found a way to manually install from the Windows 2012 ISO Media and used it ever after. Personally I like using PowerShell as a preconfiguration option. It's easy to have a list of scripts and pull them out and run them each. Alright Dear Reader, as always Thanks for stopping by.